After a slew of resignations and a presidential impeachment this year, Brazil's new leaders know no job is guaranteed. "I am there for five months already -- it's a long time in Brazil," the country's finance minister, Henrique Meirelles, said jokingly -- sort of -- to CNN's Richard Quest on Thursday, at the IMF's semiannual meeting in Washington D.C.
Meirelles is Brazil's third finance minister in less than a year. The country is in its longest recession since the 1930s, and the finance minister position tends to bear the brunt of blame. Brazil's economy shrank 3.8% last year and it's expected to contract 3.3% this year. A massive corruption scandal, the fall in oil prices and excessive government spending triggered Brazil's downturn. About 12 million Brazilians are now unemployed, up from 8.8 million last year. Wages are falling as manufacturers cut back on production. 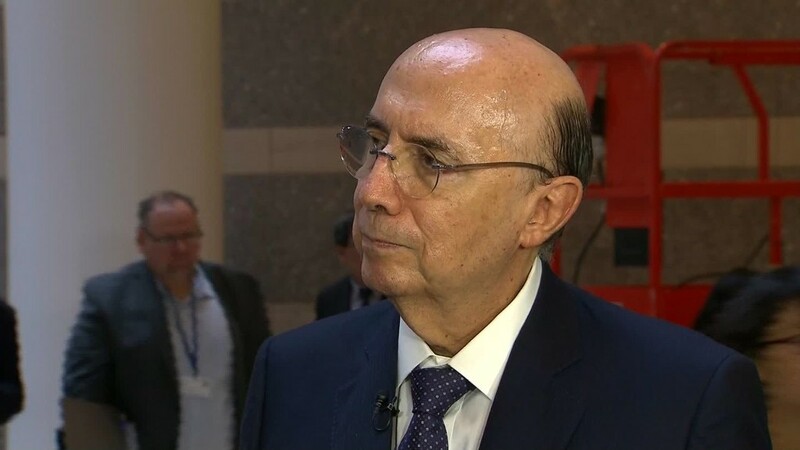 Meirelles took over Brazil's battered economy in May after former president Dilma Rousseff was suspended and her entire cabinet was forced to step down. Wall Street loves Meirelles, a former central bank chief in Brazil during the country's good times in the 2000s. He has promised to cut back government spending, which exploded under the terms of Rousseff and her predecessor, Luiz Inacio Lula da Silva. Meirelles is predicting that Brazil will finally end its recession "early next year." "The economy is beginning to turn around," Meirelles told Quest. Although Meirelles said the government will pass economic reforms, it won't be easy. His boss, President Michel Temer, has an approval rating of 14% and protestors are already calling for his resignation. Job security is even harder in Brazil's new administration. Three of Meirelles colleagues in Temer's cabinet have had to resign due to corruption allegations.